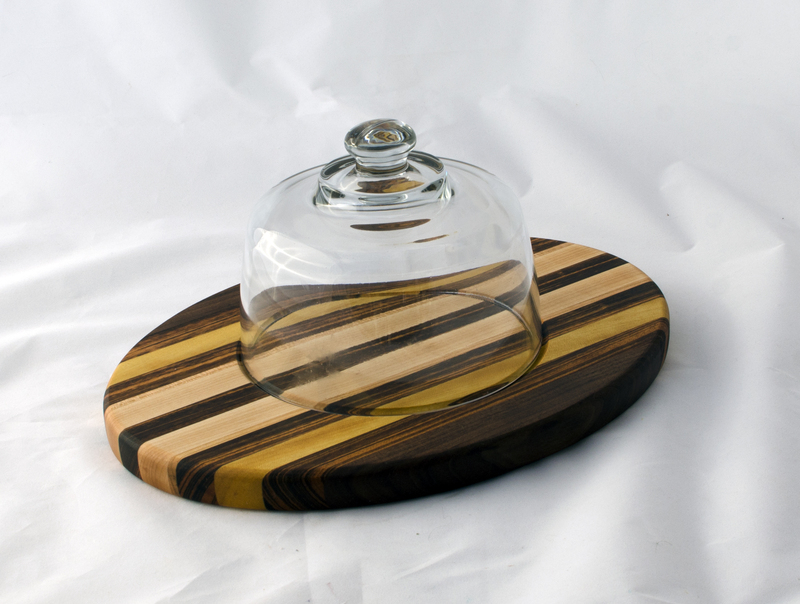 Domed Cheese & Cracker Server 16 – 09. Black Walnut, Yellowheart, Goncalo Alves & Hard Maple. 10″ x 14″ x 1″.